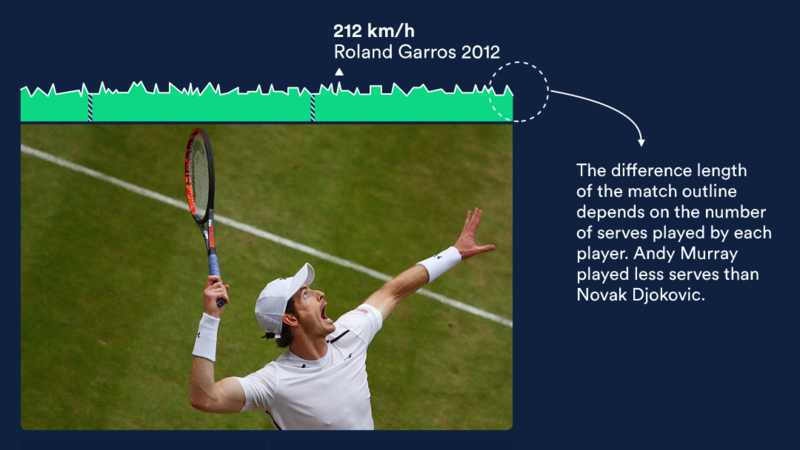 A self-initiated data visualisation that shows the serve speed from the top ranking ATP players in Grand-Slam tournaments. Interactive Things: Luc Guillemot (Interaction Engineer) who supported me in the exploration of the data set. As my last project at Interactive Things, a Swiss digital product design studio, I was curious about exploring a subject at the intersection between sport, technology and data. 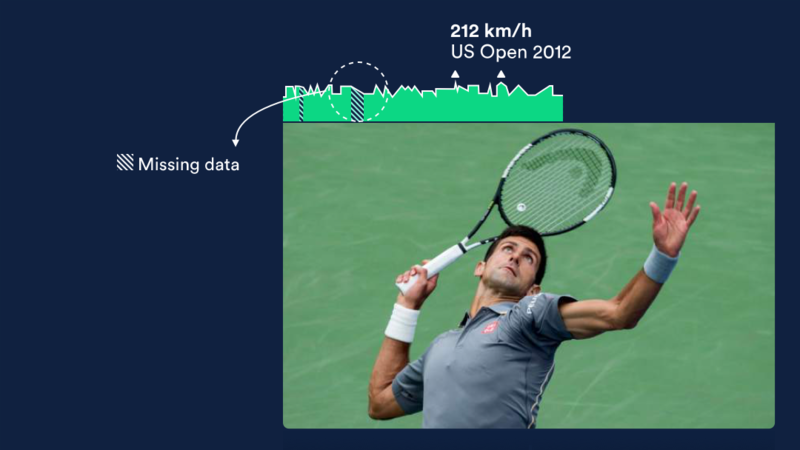 Tennis offers a good combination of data with hidden complexity and intrinsic correlations. 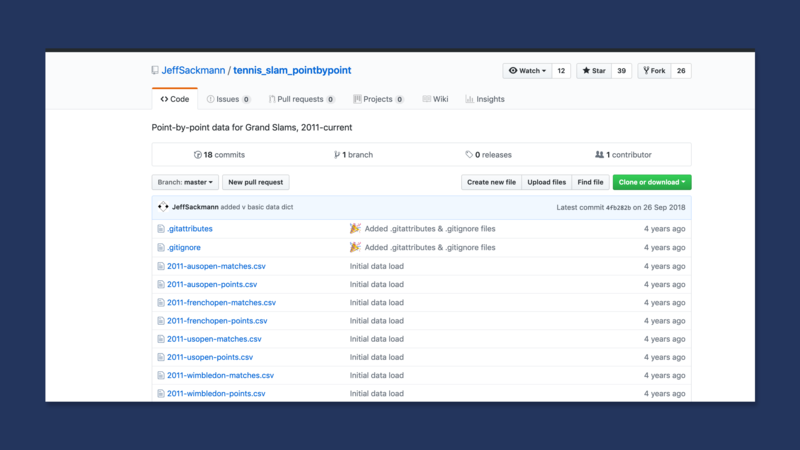 After some unsuccessful attempts of obtaining data through international sports journalists and official organisations, I found a complete dataset of the Grand Slam tournaments – Grand Slam point-by-point Data, 2011-2018. During the process, my biggest challenge was to make sense of the data. I did an initial data analysis with Tableau to understand the content and possible directions for my visualization. Since the data came with no documentation, I gained familiarity with it while investigating the correlations and exploiting the possibilities. The data exploration addressed my attention to serve speed data. I've intentionally avoided focussing on any correlation that would have linked the serve speed to other variables, e.g. 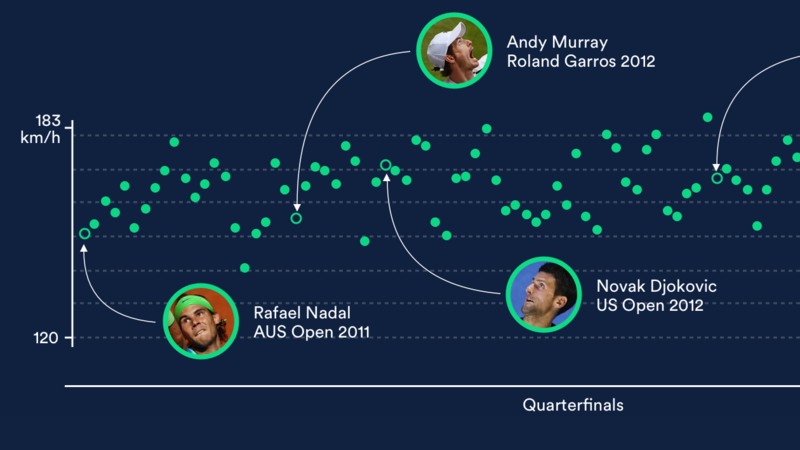 the relationship between serve speed and aces rates or the serve variation by a player. My assumption that top-rankings ATP players never perform their fastest serve in Grand Slam finals was verified with the analysis of the first five players. The design tries to shorten the conceptual distance between the visual representation and the real-world phenomenon to offer insights. 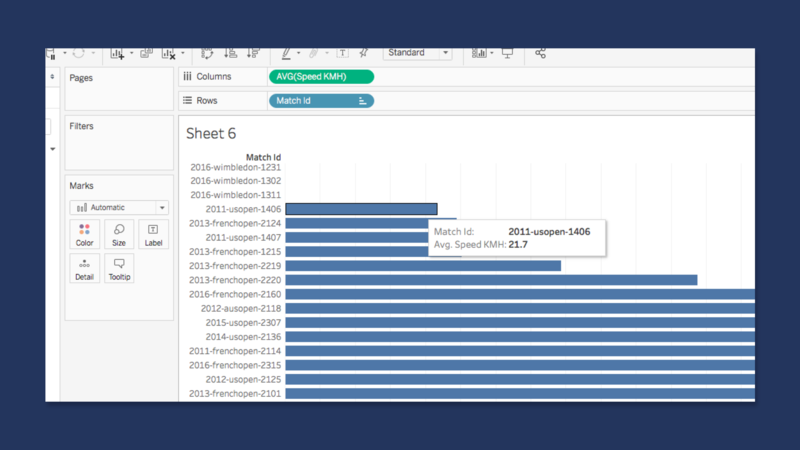 The resulting data visualization includes photos of players and small annotations that establish context and direct the users to insights and anomalies. During the process I found helpful asking a few right questions to the dataset I was analysing. It helped me to focus my research, to test my assumptions, to refine my concept, and prevented me from getting lost in never-ending data exploration.